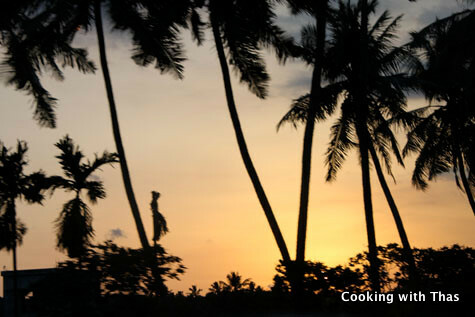 I am blogging from my hometown Trivandrum, Kerala. It’s been 17 days and I am having a blast spending time with my family. Honestly, there is no place on earth like home. Here is a picture from my hometown. This time it’s more exciting as I’ve my niece in my home. I can’t explain how cute and cuddly my niece is, she’s indeed the cutest baby ever. Also, I’ve a new fulltime job here: “entertaining my niece”, it’s fun playing with her and I’ve been trying different tricks to entertain her. Best part about being with my mom is that I get to enjoy all her yummy dishes. 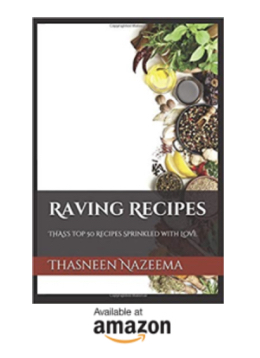 She has been my inspiration in cooking and she never fails to entertain everyone at home with her irresistible food. I’ve been gobbling up her food for the past couple of weeks. Out of all the dishes she made, one dish that attracted me was the goat brain roast she prepared last week. While she was cooking, I was busy clicking pictures. This is not the first time I am trying this dish, I’ve tasted this several years ago. 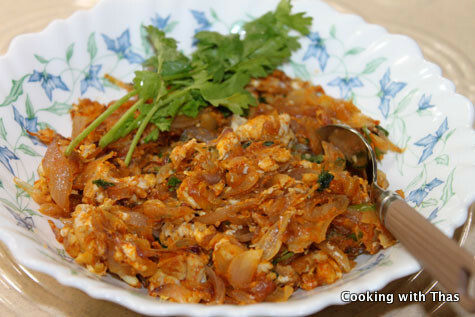 If you are wondering how this dish tastes, I would say this dish tastes very close to scrambled eggs. 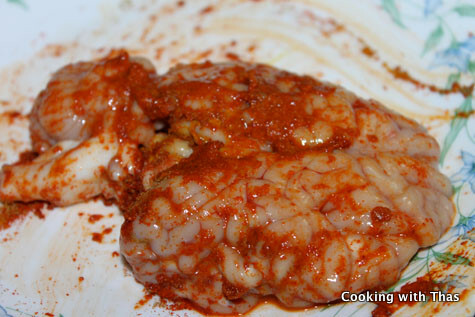 Goat’s brain is available in almost all meat stores here in Kerala. It has a very soft and tender constituency. 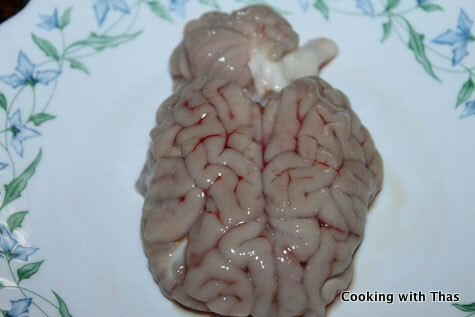 So next time if you come across goat’s brain do grab it and try this dish. Gently wash the goat’s brain under running water and keep aside. 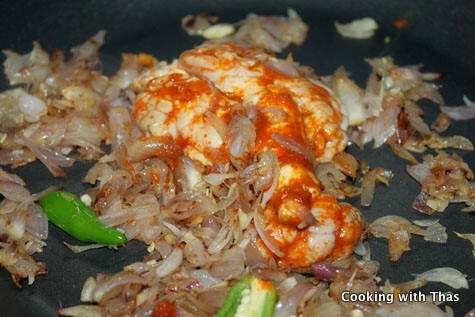 Add the above mentioned ingredients for marination to the brain and spread over it evenly. Keep aside for 5 minutes. Heat a non-stick pan over medium heat, add oil. 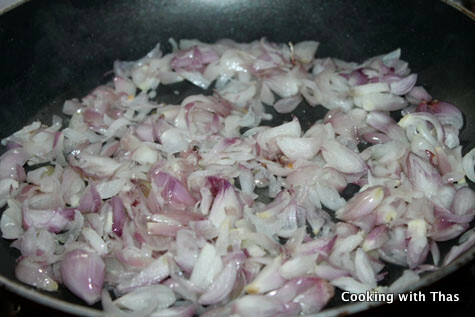 Add small onions and salt, saute till it turns tender. 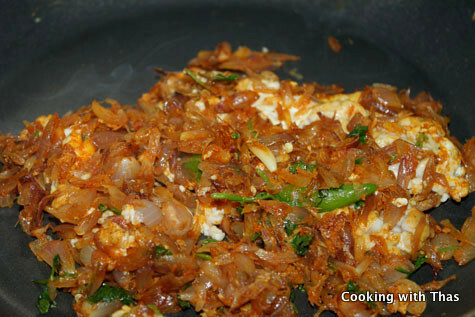 Add ginger-garlic paste, chopped green chilies and garam masala to the onions and saute for few minutes. 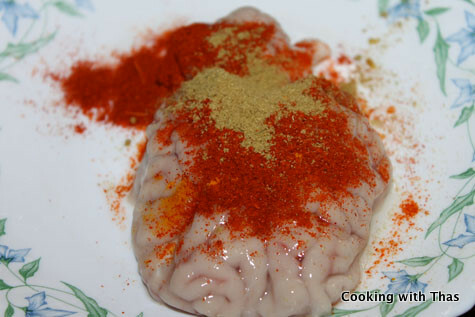 Now, add the marinated brain and cover it with the onions. Scramble the brain gently using a wooden spoon and combine well with the onion. 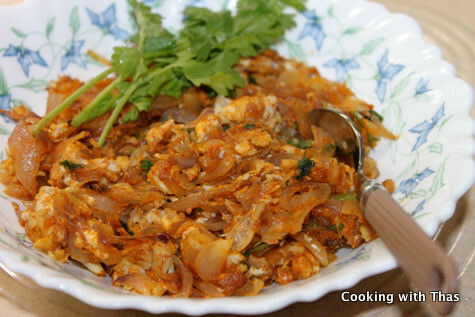 Let cook well and stir it constantly to avoid from burning. Finish it off with chopped cilantro. 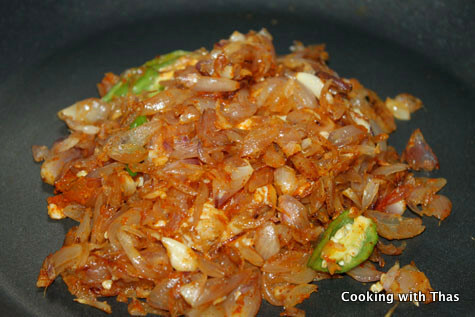 Place it in a bowl and serve as a side dish along with chapathis, rice, naan etc. Gently wash the goat's brain under running water and keep aside.